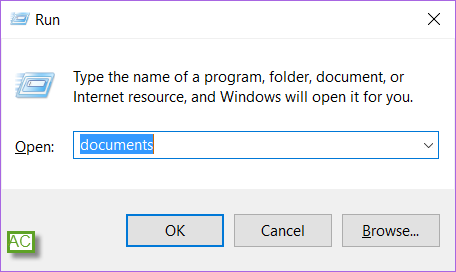 You can open the documents folder from the Run Windows in Windows 10 using the command "Documents". Just open the Run window using the shortcut key (Windows + R) and type "Documents" and press the enter key. 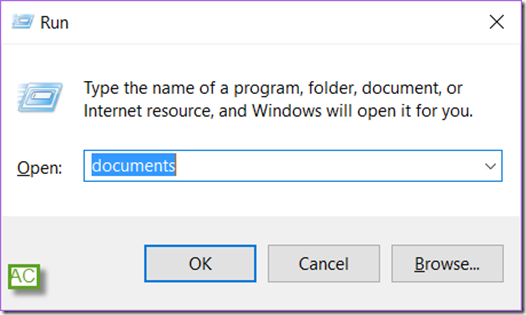 This should open up the documents folder or directory in Windows 10.